Would you love to switch to zero waste body care & cosmetic products, enjoying a mix of both homemade creations and safe beauty products from trusted brands? LIMITED TIME OFFER $227.00 $99.00 Release Date: August, 2019. LIMITED TIME OFFER $227.00 $99.00. You want to take the red pill and learn about the ecological and health impacts of cosmetic products on the market… even those that are seemingly harmless and ‘green’. You are excited for a total routine makeover and to discover how to easily make over 50 of your own DIY body care products with local, zero waste ingredients. You’re eager to learn about the zero waste cosmetic companies out there that are getting things right… and how to detect greenwashing! Hey, there! We’re Christelle & Cristina, a.k.a. the Permacrafters. We developed this master course as a response to the dangerous ingredients that are found in our personal care products and to the unsustainable plastic packaging that is so pervasive in our lives. All we wanted was gorgeous skin, hair and makeup without trashing the planet and being exposed to endocrine disrupters, neurotoxins, and carcinogens… so we made it happen! When we were starting out, we had a gazillion questions: How many tries will it take me to get this recipe right? What if I only want to use local ingredients (skip the shea, coconut and cocoa)? How do I know if such and such ingredient is even sustainable? How do I begin to find my ingredients or products package-free? What if I don’t have time to make my own recipes? How do I know what companies or ingredients are to be trusted? How in the world will I afford all these products? What if I just want a simple routine minus the bells and whistles? In this complete course, we have gathered all the most valuable information for you about safe, zero waste skin care, body care, hair care, dental care and makeup. If you’re ready to transition to safe eco-friendly beauty products, you’re in exactly the right spot! … you had the peace of mind that the body care and cosmetics products you were using weren’t harming your health or the environment. … you could easily and confidently make your own quality zero waste body care products right at home. … you had full support to achieve your goals through video tutorials, an e-workbook, and a helpful online community. We want you to be successful on your journey to using zero waste body care & cosmetic products! What are your goals, concerns, or questions? We adopt a zero waste mindset, minimizing packaging & choosing local and low carbon ingredients when we can. Common cosmetic products on the market contain toxic chemicals from carcinogens, to neurotoxins and hormone disrupters. Let’s look at the facts. How does our skin absorb these toxic chemicals? What are the risks when it comes to using conventional personal care products? How can we safely navigate product labels without getting overwhelmed? Learn about the Environmental Working Group’s Skin Deep Database. These are the ingredients we focus on using, as they can be found relatively easily zero waste, locally, and have lower eco-footprints. While some ingredients are great choices for use in cosmetics, we avoid them due to their destructive production & distribution methods. While our ingredients are generally considered safe, anyone can develop an allergic reaction to a product. Here’s what you need to know. We share basic skin care practices you can implement to avoid daily damage to your skin. Determine what your skin type is in order to best choose the body care products that will be suited to you. How diet can affect skin, and how the Permacrafters both found that a plant-based diet was the key to getting rid of their acne. Learn the difference between face wash and face cleanser, and whether you need either. Discover our favorite zero waste brand options. Learn about the pros and cons of facial exfoliation. Discover how to make your exfoliator and which zero waste exfoliator we liked most. Learn about the benefits of face serums, and where to find them zero waste. Learn how to make your own pimple paste to help speed along healing for spots on your face. Learn when and how to use a toner. We’ll walk you through how to make your own and the best zero waste toner products. We delve into whether moisturizer is necessary, how to make your own at home, and which zero waste face moisturizer brands we most like. Discover the benefits of facial steams and how to make your own blend at home. Get ready to make a ton of easy zero waste facemasks with us. No matter your skin type, you’ll find one you adore. Learn about what to avoid in typical lip balms and how to make your own with some simple local ingredients. Is there such a thing as being too clean? What happens when we wash our bodies with hot water and soap too often? How to find an ethical bar soap that’s unpackaged and how to choose the appropriate accessories to get the most out of your bar. Learn about solid gels, bulk body washes, and refillable soaps and how to ensure they are free from unwanted substances. Make your own luxurious body moisturizers with a few simple ingredients. Make your own bath salts, bath bombs, and bath teas to fully enjoy a relaxing bathing experience. Make your own foot scrubs and learn how to treat calluses. Learn what ingredients to avoid in conventional scrubs. How to make or purchase zero waste massage oils for a pleasurable massage. Learn about ingredients to avoid in conventional deodorants. Make your own deodorants and learn about zero waste brands, including baking soda-free options. The best way to clean your ears is to not intervene. For those intent on breaking the rules, we introduce zero waste cotton swabs and ear picks. Delve into how to best care for the health of your locks with some simple techniques. Learn how to make a variety of homemade liquid shampoos and which brands offer refillable shampoo options. How to choose & use your shampoo bar and troubleshoot sticky-hair issues. Make your own liquid conditioner and learn about the numerous zero waste conditioner options available to you. Discover how to make your own zero waste hair masks based the issue you wish to address and the benefits of deep conditioning. Learn when and how you would want to use hair serums, and the various benefits of hair tea. Learn how to naturally highlight or color your hair with daily hair teas or henna coloring. Learn where to find zero waste hair ties, hairbrushes, combs and more to keep your locks and the planet healthy. Hold on tight as we delve into zero waste razors & shaving creams, laser treatments, zero waste waxing, and threading. Surely you’ve heard of the bamboo toothbrush. How about the natural miswak brush, or the zero waste electronic toothbrush alternative? Many seemingly zero waste floss options are made from plastic. Learn about silk floss and vegan biodegradable floss options. Learn about the alternatives to your typical plastic-packaged toothpaste: toothpaste tabs, toothpaste in metallic tubes and toothpaste on a stick! Learn about zero waste tongue scrapers, mouthwash tabs, how to make your own mouthwash, and the benefits of oil pulling. Learn how to make your own mascara with some simple ingredients right at home. We present the zero waste makeup products we most like and personally use. Discover the top zero waste makeup brands in the United States, Canada, Europe and Australia. Discover nail polish companies that are not only safe, their containers are also recyclable and the polish is biodegradable. Learn how to make your own makeup remover and how to select your cotton rounds to remove makeup. Learn how to make salves for insect bites, rashes, dry skin, and for anti-septic purposes. Discover how to make a poultice for insect bites and a compress for dry skin. that contains all the information from modules 1-50, helpful checklists and guidelines. You will have access to a supportive online community hosted on Facebook to submit your questions and share your successes or difficulties. It’s a wonderful opportunity to get feedback and motivate one another. As we add content to our workshop over time, you will have access to all updated information. Watch the videos on any device. This online workshop is self-paced. Start whenever you want at your own convenience! The course materials are yours for life. Christelle is a bubbly environmental educator and permaculture instructor who infuses optimism in her classes and laughs at her own jokes. Originally from Geneva, Switzerland, her studies and career have focused on environmental protection. She’s multilingual, a mama (or “Permamacita”), a beekeeper, and a foraging enthusiast with an insatiable curiosity for life. Christelle and Cristina developed this course together, with Christelle bringing her environmental expertise to the table, and Cristina bringing her passion for body care, makeup art, and developing beauty recipes. We are confident that if you apply yourself by watching all the videos and following the instructions that you will be fully satisfied. We are giving you a full month to try out our recipes & tricks. On the small chance it didn’t meet your expectations, we will happily give you a full refund within 30 days of your purchase, so long as you have completed the video tutorials. What do you mean by local ingredients? In our class, we use ingredients that are harvested either in Europe or the States. Depending on where you live, you can modify the ingredients you are using. If you live in Australia, Latin America, Africa, or Asia (or anywhere else! ), there’s nothing stopping you from taking this class. Are we sponsored by any of these zero waste brands? No. It was crucial for us to share honest opinions about all of the body care products we tested. In fact, you’ll notice when there’s a product we don’t like, because we’ll always say when a product didn’t work for us. We did receive free bamboo toothbrushes from Leafico; they are shown in this class. We were not paid to give a review about the product. In the future, we may share affiliate links of our favorite products, but for the time being, we are not doing so. Is this a vegan class? No. The only animal products you will see us use in this class are beeswax and honey from local beekeepers. As a former beekeeper, it’s critical for me to purchase bee products only from sources that I trust. The beeswax was from abandoned hives, and the honey that was collected was surplus honey. If you do not wish to use bee products, this class may not be for you. However, the majority of our recipes do not call for bee products. 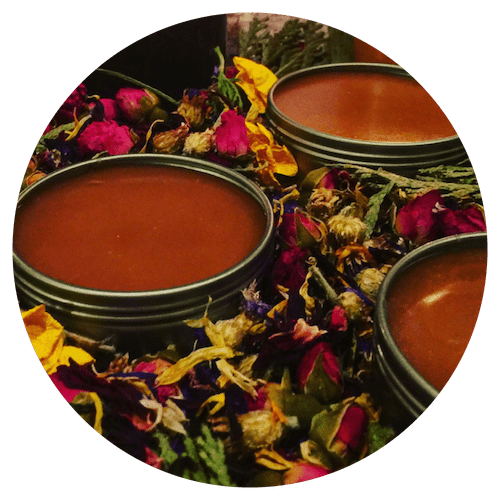 Zero Waste Body Care & Cosmetics online workshop.